VR is here to stay, love it or hate it. The technology has already been adopted by school teachers in various locations across the US. To name a few, San Francisco Unified School District and Polk County Public Schools in Florida are reported to have adopted VR technology. VR is not just a cool new technology; it actually makes matters possible for kids that weren’t possible before. Just imagine being able to walk students through chemical reactions, take them to the center of a cell and relive the epic events of history. Google with their Google Expeditions, Nearpod, zSpace, MEL Science are tutoring school teachers on how to adopt the technology to increase levels of interactivity in education. 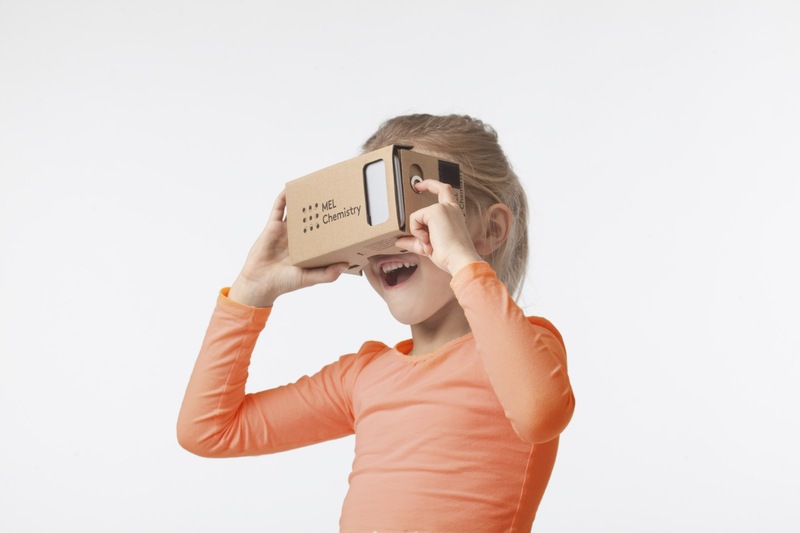 Companies have begun distributing smartphone-compatible cardboard VR sets in the US and organizing events and meetups for teachers. According to Venturebeat, Google has taken more than 1 million students on Expeditions. zSpace has been doing demos for teachers throughout the US where you can opt in at the nearest location. According to a GreenlightVR report, 64% of consumers are ready for the education industry to adopt VR to increase the quality of training and materials in science. Are you ready for a huge change in the lesson plan? The reason for the pace of VR adoption by schools is that VR is a comparatively cheap technology, which actually increases the level of teaching hard sciences, such as chemistry or physics, and humanitarian sciences such as history and geography. VR startups aimed at schools don’t go for expensive devices, like HTC Vive or Oculus Rift (which start from $600) an addition you’ll also need an expensive PC with a price tag more than $1000. They look at the devices at children’s disposal—smartphones and tablets. The other part is the creation of VR content, which creates immersive experiences. The content is either 360 video, 3D models of molecules or human organs or entire lesson in VR. Depending on what you teach, you can choose a company that fits your lesson plan. Nearpod is used by 3 million kids in the US, and 60% of them are accessing VR content on the company’s lesson portal. Nearpod is working mainly with sciences like history, geography, and astronomy. With Nearpod, you can take kids to faraway places in our planet or Solar system. Another pioneering project is Google Experiments, which is also contributing to geography education. zSpace is yet another VR startup servicing 400 K-12 school districts in the US. zSpace provides content for history, anatomy, and geography lessons. The learning activities of zSpace are already implemented in over 300 school districts, medical schools, and more than 150 universities worldwide. So how can a teacher help pave the way to VR? If you have never tried VR, visit one of virtual reality locations in the US like Samsung 837 in New York, where you can fly on a helicopter using Oculus Rift device or visit The Void for an exciting game at Times Square. If you want to start experimenting with VR technology, contact one of the VR companies mentioned in the article, and begin teaching chemistry, geography, history, anatomy with the use of incredible VR technology. Next Guest Blog Post: Stuck for art lesson ideas? Check out Artsology.